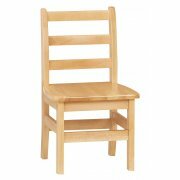 Ladderback school chairs bring the strength and beauty of solid wood into your classroom or library. The natural appeal will look great with any color scheme or decor. 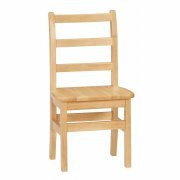 An environmentally-friendly ultraviolet finish provides great protection so chairs can easily be wiped clean and maintain their natural beauty for years to come. 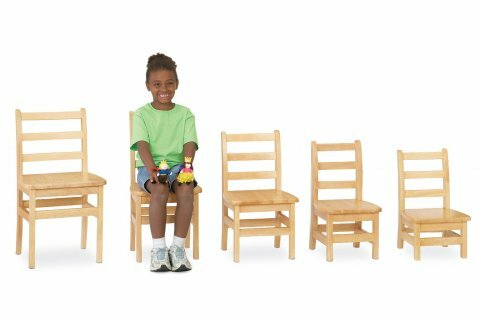 These wooden school chairs are designed to promote healthy sitting. 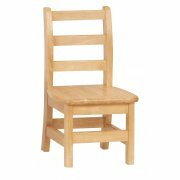 The back rails are properly spaced to support children safely and encourage good posture. 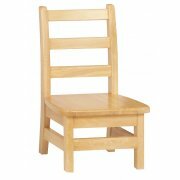 Hard rubber feet prevent scratching and reduce noise as little ones get in and out of their chairs. 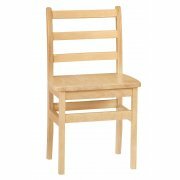 With all rounded corners and edges, you can be sure that even your youngest students are seated safely in these library chairs.